Whether you are in a business setting or on a date, stained teeth can dampen your confidence and even add years to your appearance. Sparkling white teeth make your mouth look clean and fresh and can subtly enhance your natural beauty. Dr. Raymond Cruz Best offers teeth whitening at our Rio Grande City practice. Teeth whitening is a safe, convenient, and affordable option to rejuvenate your smile. Contact Dr. Best today and schedule an appointment to learn more about what our professional whitening treatments can do for you. Dr. Best prefers the innovative Zoom!® whitening system, which is clinically proven to whiten teeth up to eight shades. Professional whitening with Zoom!® is a great way to prepare for a special event like a wedding, reunion, or other event. 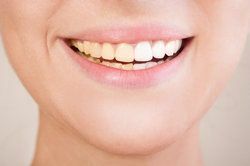 A bright, white smile is a confidence booster in any situation, and drugstore whitening options just can’t compare with the speed and effectiveness of professional bleaching products. Zoom!® treatment is popular with Dr. Best’s patients because the accelerated process is completed in our office in a little over an hour. During treatment, a concentrated hydrogen peroxide whitening solution is applied to your teeth and then activated with ultraviolet light. The Zoom!® system features a variable intensity setting which can be used to customize your treatment, and desensitizers are included to further minimize sensitivity. Zoom!® protects your tooth enamel as it whitens, and will not harm surrounding gum tissue. You will be amazed at the difference in your appearance as you walk out the door with a refreshed, dazzling smile. In addition to our in-office treatment, Dr. Best offers patients a choice of Zoom!® take-home kits. Take-home whitening is an affordable way to achieve professional whitening results in the privacy of your own home, and can also be used to supplement your in-office whitening to help your bright smile last even longer. To create your take-home kit, Dr. Best will create a customized tray to hold the whitening formula snugly against your teeth. The Zoom!® formula contains amorphous calcium phosphate (ACP), which is clinically proven to reduce sensitivity and protect enamel while it breaks up deep-set stains. You can choose between DayWhite® and NiteWhite® kits, depending upon your preferences. NiteWhite® is worn overnight for one to two weeks, and DayWhite® is worn for 15-30 minutes twice a day, with optimal results achieved in two weeks. Your sparkling smile can last for months, but deeply colored beverages such as coffee, tea, wine, and soda can dull your results over time. The Zoom!® system includes a take-home pen that can be used to help combat staining. It is extremely portable and convenient, and the whitening formula is simply painted onto the surface of your teeth. Incorporated into your regular oral hygiene routine and used twice a day, the pen can keep your smile looking its whitest. Dr. Best offers a number of cosmetic dentistry treatments, and provides discounts on teeth whitening as part of our comprehensive smile makeover. Contact our office today and set up a consultation.